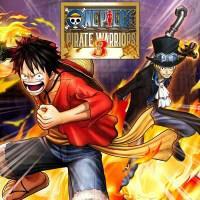 A Musou game set in the One Piece universe. The adventure-filled and semi-fantastical setting is a great fit for the gameplay, as are the over-the-top super-powered characters. The game’s story mode presents a hyper-condensed take on the nearly twenty years’ worth of One Piece plot arcs and thus serves as a solid primer on the world, its characters, and their relationships, although for any real depth or detail you’ll have to refer to the source material. There’s also a “dream” mode that remixes the maps/characters/factions/objectives for an endless but plot-light series of semi-random levels. Gameplay is hectic and satisfying. It’s built on the standard Musou foundation - mow down weak enemies by the hundreds in large-scale dynamic battles, be in the right place at the right time and achieve various strategic objectives, and duel particularly powerful enemies one-on-one. What One Piece brings to the table is a wide but manageable array of colorful characters who all play at least a little bit differently and a strong mechanical focus on nakama, as your combos and special attacks are enhanced by your crewmates. The missions are fairly varied, though you’ll generally succeed by finding bad guys and beating them up, and each level has a number of bonus objectives that encourage replay and reward learning the map and the events that occur within it. It’s also fun to play with a friend, which can definitely make it easier to tackle simultaneous objectives, so it’s a shame that the co-op mechanics are a bit half-baked, especially for online play (you can’t easily just co-op through the story mode online; someone has to have cleared the mission first and you disband at the end of each one). The steps to fully max out characters inflate play time in uninteresting ways, so a completionist playthrough will get tedious at the end. But if you enjoy the world or mood of One Piece and like the idea of running around huge dynamic battlefields using cartoonish powers to plow through enemies, you’ll have a lot of fun along the way. I Stopped Playing When: I completed the game and all optional objectives. Some of these required a lot of grinding, but that made for a good game to play while walking on the treadmill. The appropriateness of which is not lost on me.